One of life’s biggest style mysteries? Women who look cool (and stay cool) when it’s sweltering outside. But what's their secret? From dressing with fabric finesse, incorporating smart silhouettes and extra SPF, here are Stylists’ favorite easy outfit ideas for staying haute (but not hot) this season. Read on for 7 Stylist-approved hacks to make your summer outfits even cooler. 1. COTTON (AND NATURAL FIBERS) ARE YOUR BEST FRIEND. There’s a reason why summer styles always include comfy cotton, light linen and other natural fibers. They allow air to circulate and they act like a built-in air conditioner for your body! “Ditch the denim! 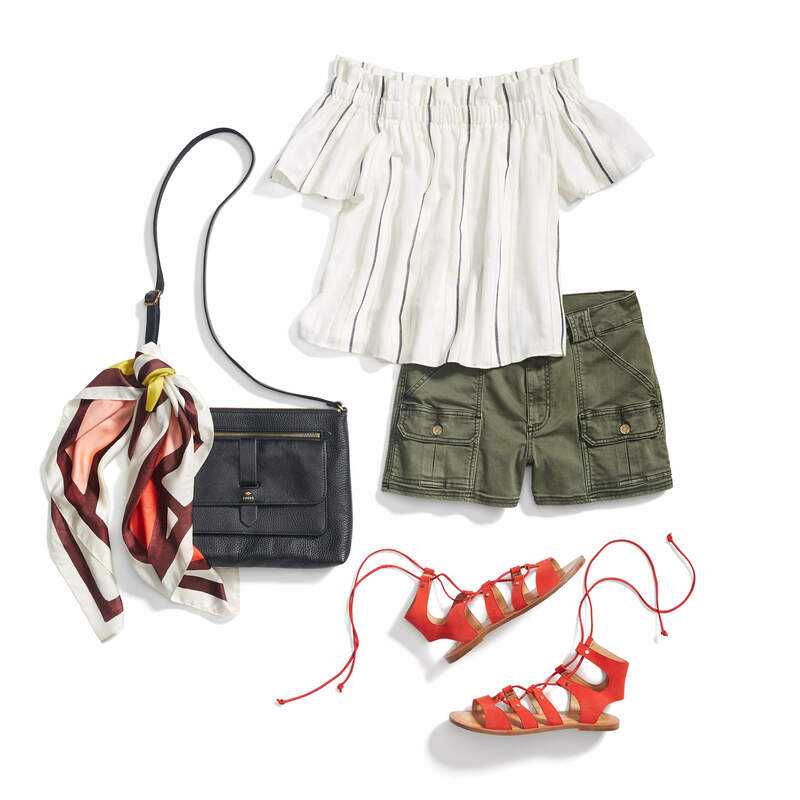 Keep your legs covered up with linen or tencel pants for weather that reaches triple digits. No sunburn or bug bites to be had here!” — Stylist Leonie M.
2. GET SMART AND BRING YOUR DIY SHADE WITH YOU. If you know you’ll be in direct sunlight all day, get smart and bring your shade with you. Invest in a wide-brimmed straw hat or even a throwback parasol for a retro-inspired way to save face (and avoid a sunburn). 3. WEAR ALL-WHITE TO SHUN THE SUN. Did you know: All-white not only makes you look effortlessly chic (it’s the all-black equivalent for summer!) but wearing light colors like pastels, creams and whites dispel heat instead of absorbing it. “I always use a crossbody bag as a hands-free carryall in the summer. Tote bags or anything that sits close to the body traps the heat.” — Stylist Nicole G.
4. LIGHTEN UP YOUR LOOK WITH WOVEN FABRICS. This season opt for woven materials (think: more of a basketweave) like linens and blends. Skip the jersey if you can—it can be heavy and will inhibit airflow around your body. “I live in maxi dresses all summer long! They know how to beat the heat, plus they’re perfect for a busy mom on the go—like me!” — Stylist Caroline K.
5. SKINNY WHO? LOOSEN UP IN BOYFRIEND JEANS! Embrace the fit & looser structure of this tomboy style that’s borrowed from the boys. If you must wear denim, reach for a pair of boyfriend or wide-leg jeans instead of those sticky skinnies. 6. SHOW SOME SKIN (BUT SLATHER ON THE SPF). Summer is the perfect season (and excuse!) to show some skin. Embrace trends like off-the-shoulder tops and dresses, skinny straps and shorter hems on your shorts and skirts. “For “fry an egg on concrete” Texas summers, I keep my hair off my neck with a casual-cool milkmaid or crown braid.” — Stylist Viviana K.
7. STICK WITH STRUCTURE. 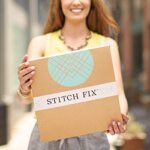 FLIMSY FABRICS WILL STICK TO YOUR BODY! Lightweight fabrics are great for hot and humid weather, but a little structure will avoid that uncomfortable moment when they start to stick to your body. Try looks with a boxier, more structured shape to keep them from clinging. Will you take any of these style tips for a whirl? Tell us in the comments below!